Valley of the Sun Environmental Consultant, LLC. is an independent asbestos testing and analysis company located in Arizona and also services Colorado, New Mexico, and Nevada. We provide accurate, affordable, quick turnaround on all testing for home owners/buyers/sellers, realtors and others. 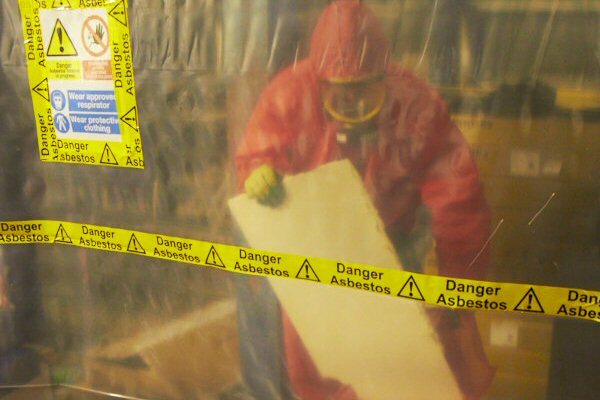 Asbestos is a dangerous carcinogen. Asbestos exposure may cause mesothelioma and lung cancer. Asbestos poses the greatest danger when it becomes airborne. Demolishing, repairing, or just disturbing suspect materials may cause the asbestos fibers to dislodge and release into the air. The following are some of the common asbestos containing materials that might be found in your home: acoustical ceiling texture – popcorn, floor tiles and mastic, linoleum and mastic, insulation, drywall & joint compound and wall texture, window/door caulking, exterior stucco, roofing, penetration mastic, etc. Thus before you disturb any material you suspect might contain asbestos, it would be a good idea to have a sample of that material tested by Valley of the Sun Environmental Consultant, LLC. Our fully-accredited professionals provide fast and confidential testing. You will get the test results within 24 hours, in most cases the very same day we receive your sample(s) at no additional charge.